I admit it. I’m a regular at coffee drive-thrus. I make up lots of excuses to justify this little indulgence: I’m on vacation, I deserve it, it’s really hot outside, it’s really cold outside, etc. In truth, it’s all a big fat cup full of rationalization. In my defense, my most common beverage of choice this time of year is unsweetened iced tea. Most local spots and national chains have a nice selection of flavors and I can get twenty glorious icy ounces of refreshment for virtually no calories. While it’s a pretty safe choice nutritionally, financially it can really add up. 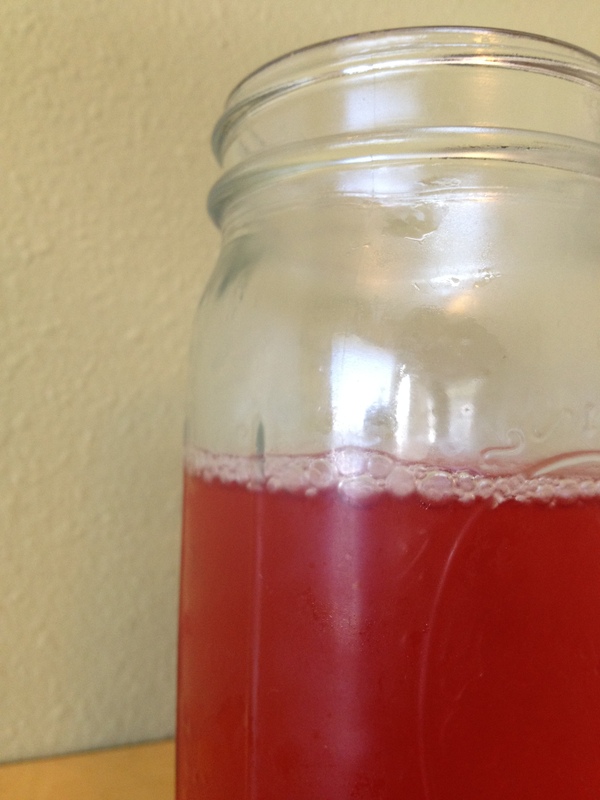 So, I try to balance my convenience habit with making my own healthy beverages at home. I’ve got two favorite recipes to share with you (if you can call “mix fruit with water” a recipe). I sampled a version of the first one at Plum Bistro in Seattle and fell in love. (Can you fall in love with a glass of water?) It’s actually just the basic water they give you when you get seated and it’s worth making yourself. The perfect mix of citrus and cucumber is the most refreshing water I’ve ever had. And, that’s saying something. Rinse all produce well under cool, running water before slicing. 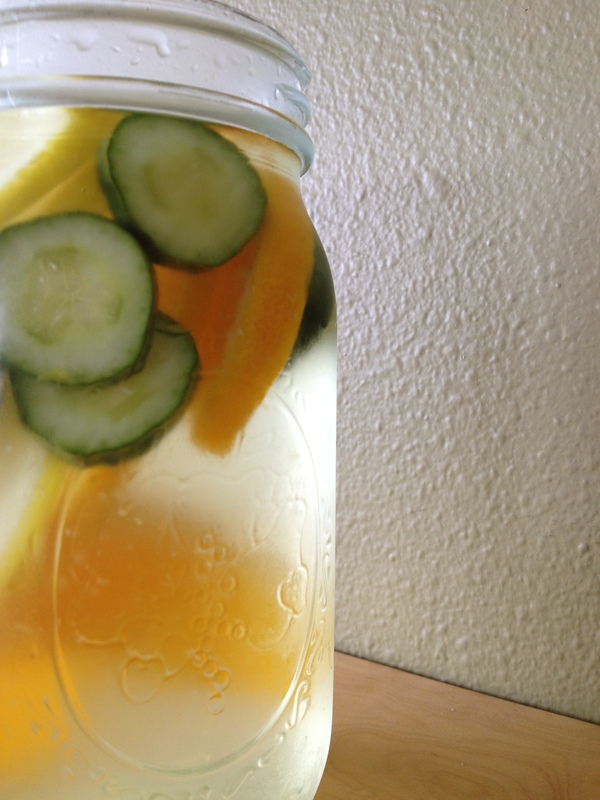 Place lemon, orange and cucumber slices in bottom of a 1-quart mason jar or pitcher. Fill jar or pitcher with filtered water. Cover and refrigerate. If you’d like, strain before serving. Enjoy within 2 days. Bring water to just under a boil. Place tea bags in a 4-cup glass liquid measuring cup. Pour water over tea bags and steep 1 minute. Press tea bags to extract a bit more flavor before discarding. Let tea cool for about 30 minutes. Rinse berries well under cool, running water and place them in the bottom of a 1-quart mason jar or pitcher. Fill jar or pitcher with brewed tea. Cover and refrigerate. If you’d like, strain before serving. Enjoy within 2 days. What’s your favorite (healthy) cool beverage for a hot day? When I’m lazy, I just crack open a can of Fred Meyer brand Lemon Lime Sparkling water! When I’m “inspired”….an iced decaf Americano with a little bit of 1/2 & 1/2!! Those are both lovely, refreshing ideas. Thanks for sharing. Indeed. I happen to know you’re very good at throwing parties, so I value your opinion on pretty things.